By Scott Gilfoid: A proposed fight between WBO super featherweight champion Ricky Burns (32-2, 9 KO’s) and No.1 ranked World Boxing Organization challenger American Adrien Broner (21-0, 17 KO’s) could happen on November 5th in the United States, according to a news piece from Dan Rafael. Frank Warren, the promoter for Burns, is reportedly open to the idea of bringing his fighter over to the U.S to have him fight in front of an American crowd. I’d like to see that, because if Broner has to fight Burns in his home country of Scotland I’m afraid we could have a potential for a controversial decision with Burns getting the nod. The last thing I want is Burns getting totally dominated and possibly winning what boxing fans call a home town decision. We can’t have that. This is why I think a neutral country like the U.S would be perfect for this fight. It doesn’t matter that Broner is American, because he’s still not even close to being a huge draw. U.S fans don’t yet realize that we have here is a young, slightly smaller version of Floyd Mayweather Jr. Broner is the full package – speed, power, amazing foot work and excellent defensive skills. He’s going to be a great one, and it will be nice for boxing fans to see him school Burns and capture his WBO title in November. Burns has defended his WBO title three times since capturing it last year against Roman Martinez. However, the opposition that Burns has fought has left a lot to be desired, as all of them have been obscure fighters that he easily beat. 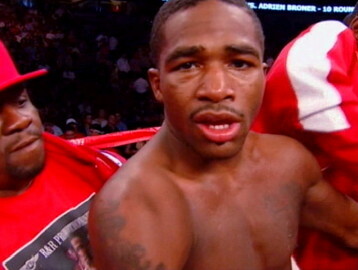 Broner is the opposite of those guys, and easily the best fighter in the super featherweight division right now. « Is Pacquiao one of the greatest of all time?